The Sharqeya National Museum (which was closed in 2006) had an exceptionally rich collection of Egyptian antiquities on display – a collection which is without parallel in reflecting the early history of the north-eastern Delta. Nearly all of the objects were excavated and recorded by Egyptian archaeologists (in the 1960s and 1970s) so their exact provenance from various Delta sites is securely attested in almost every instance. Among the wealth of exhibits (totalling 1664) were artefacts from nearly all periods of Pharaonic history as well as the Greek-Roman and Coptic/Early Islamic Periods. 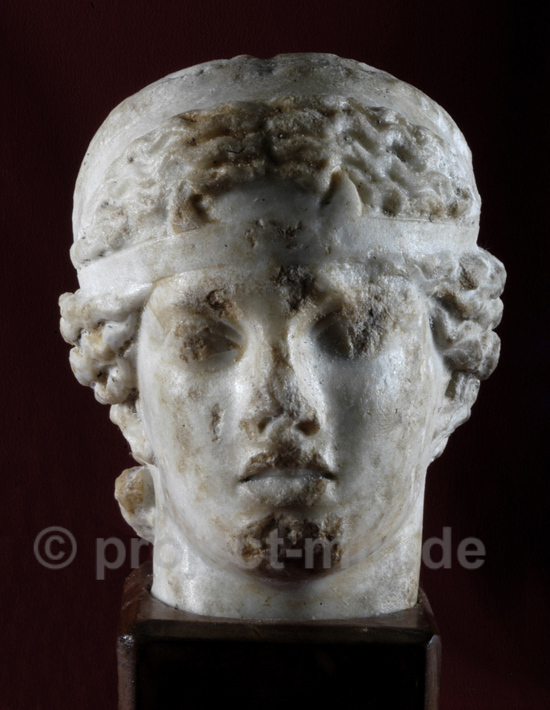 Also included were various objects imported in antiquity from foreign countries. 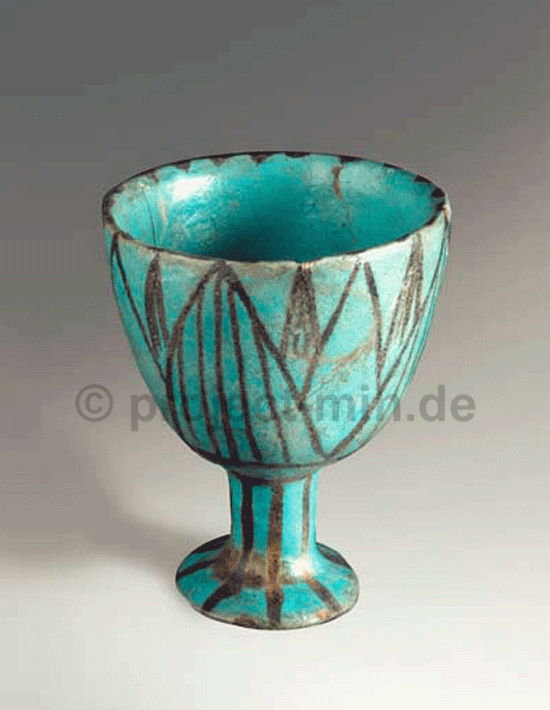 Many of the Sharqeya National Museum’s antiquities will soon be on display in other museums. The Supreme Council of Antiquities is currently building new site museums, one at Tell Basta (ancient Bubastis) and another on the road between Tell El-Dab’a (ancient Avaris) and San El-Hagar (ancient Tanis). The most ancient local archaeological finds consisted of large pottery and of smaller stone vessels, possibly dated to the Proto- and Early Dynastic Periods. 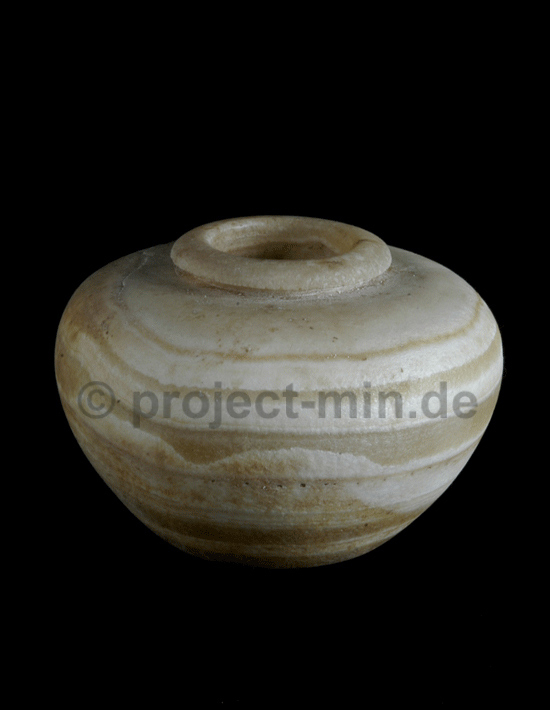 The cylinder vessels, shallow cups, beakers and mortars made of calcite-alabaster, diorite, breccia and other hard stones were discovered at the early necropolises of Kufur Nigm and Beni Amr. They testify to the high standard of workmanship in stone which Egyptian artisans had already achieved early in Egypt's history, namely, 5000 years ago. 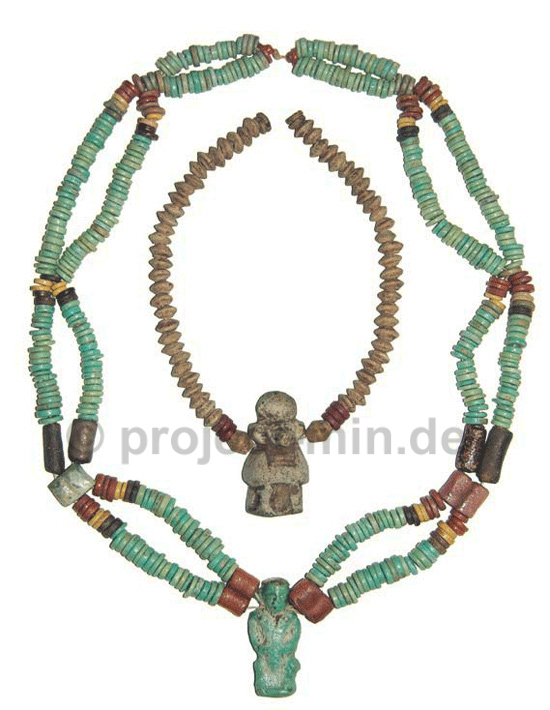 Especially rich was the collection of ancient amuletic jewellery all of which was excavated in local tombs of the Old, Middle and New Kingdoms. 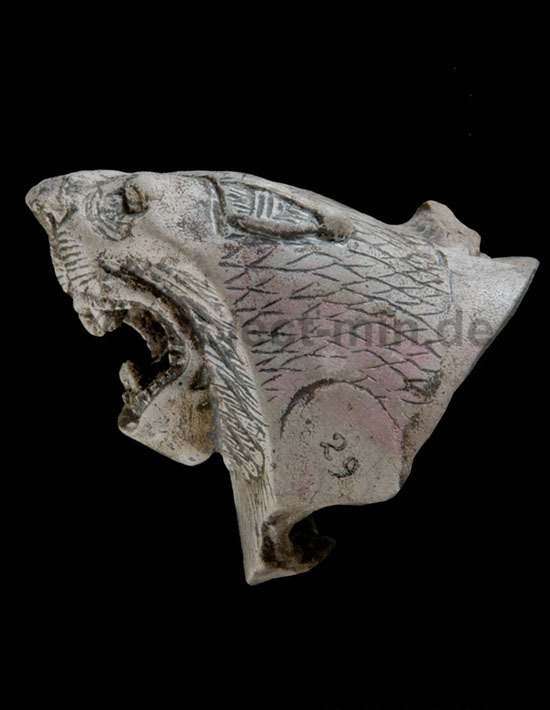 Not only were there rings made of gold, with bezels of semi-precious stones, faience and glass, but also well-preserved faience collars, necklaces, bangles, bracelets, pectorals made of colourful faience and larger amulets depicting local divinities. As is to be expected, a large variety of scarabs also formed part of this unique display. Artefacts of foreign production which were excavated in the eastern Nile Delta can of course be an important source of information for the history of this region. Such objects may point to trading contacts between Egypt and other countries or, equally, may suggest production by foreigners who lived in Egypt. 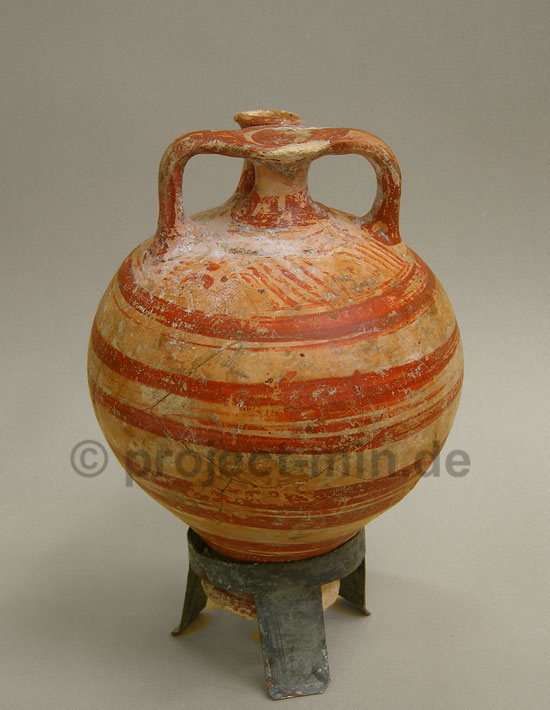 Mycenean and Cypriote painted pottery may have been imported but several small Archaic, Hellenistic and Roman Period sculptures were probably made locally. 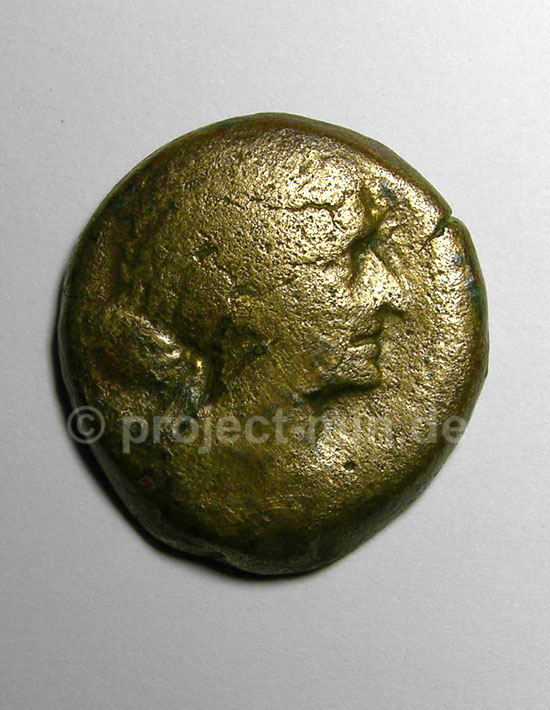 Coins from the Ptolemaic and Imperial Roman Period have also been preserved. They show images of well-known rulers of those times, among them portraits of Alexander the Great and of the famous Queen Cleopatra VII. Among the stone sculptures which were formerly exhibited in this museum three private statues of Middle Kingdom date deserve special mention. 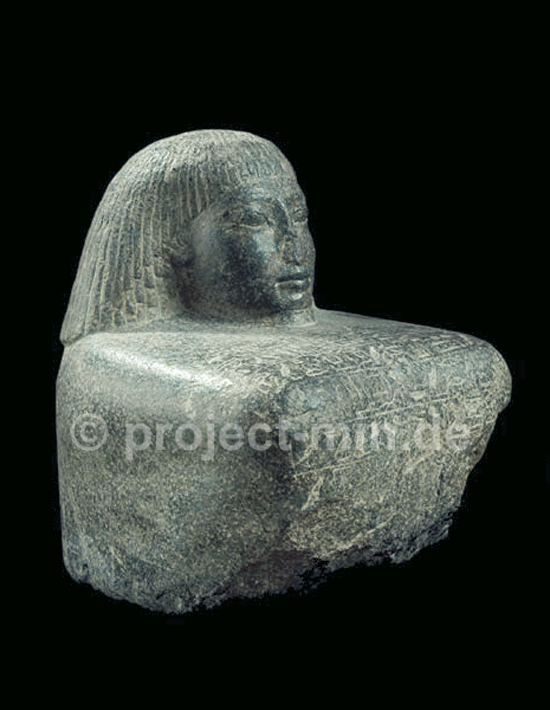 The most significant of these is the virtually undamaged quartzite squatting statue of Kha-kau-re-seneb from the reign of Senwosret III (ca. 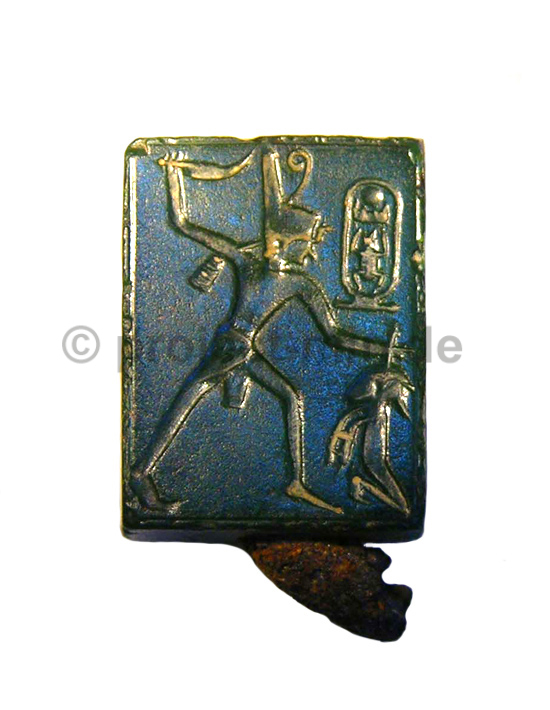 1872-1853 B.C.). It depicts an official who was both the mayor of Bubastis and chief priest of the goddess Bastet; his face shows clear signs of ageing (see image above). 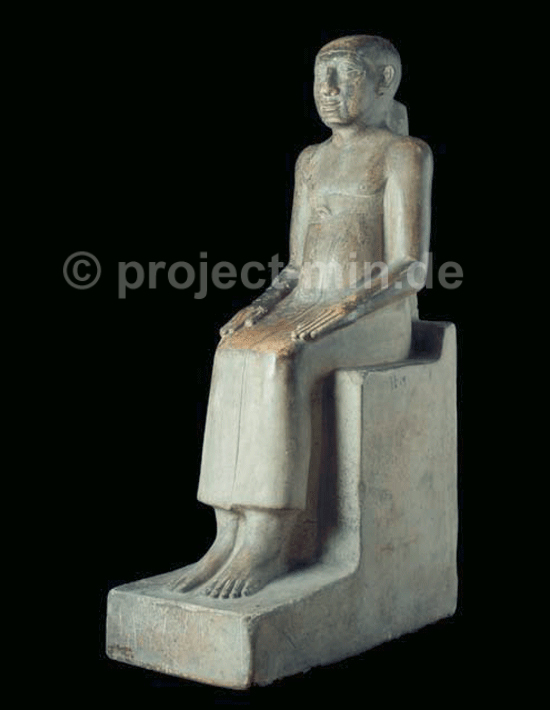 This statue, together with two limestone sculptures - one depicting a seated figure and one block statue, both of which are uninscribed (images below) - were discovered at Bubastis within the walls of a vast, Middle Kingdom, palace-like building, whose lower walls are still partly preserved. It seems that all three statues, which may previously have stood in the nearby temple of Bastet, were buried in the place where they were discovered, presumably some time after their cult had been abandoned. 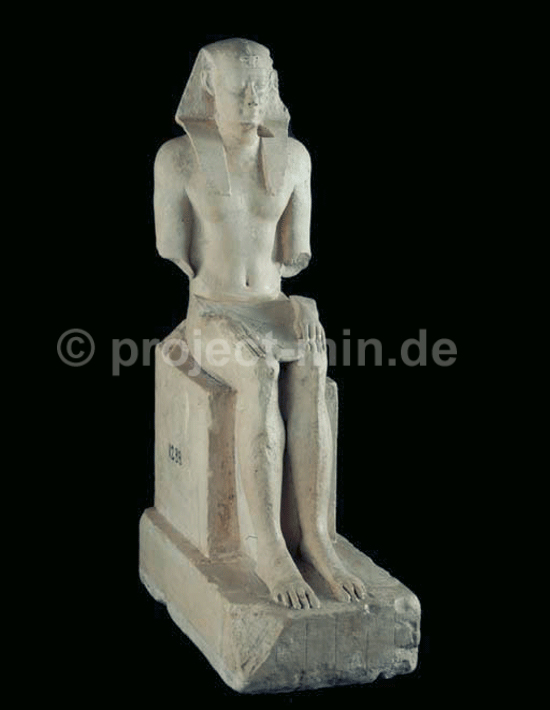 Other statues depict royalty and officials from the New Kingdom, the Late Period, and the Ptolemaic Period. 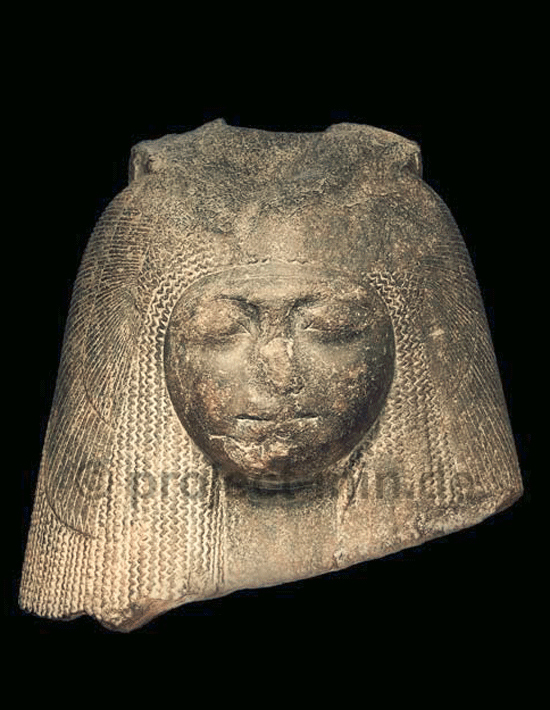 Among these, a fine granite block statue fragment from the 18th Dynasty and a delicately modelled (though somewhat damaged) life-sized granite head of a Ramesside queen deserve particular attention (images below). The museum had also exhibited a number of bronze figures. Besides some small specimens of average quality, which may have been simple votive offerings, one exceptional, 38 cm-tall bronze striding statue of a syncretic god, presumably of Third Intermediate Period or date, should be highlighted. 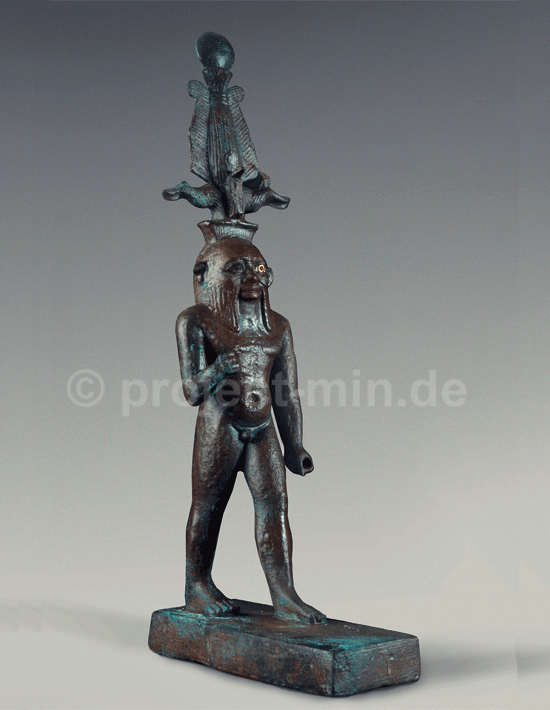 According to its inscription this statue depicts the juvenile sun god Harpocrates; his head, however, resembles that of the deity Bes and is adorned with the atef-crown, a typical attribute of Osiris, the divine ruler of the dead. Preserved inlays of gold, especially on the statue's left eye, add further to the splendour of this outstanding art work. Inscriptions were also found on ancient stone architectural fragments. Of particular importance is the two metre-long limestone lintel of the tomb chapel of Merenptah (Dynasty 19) who was styled "Chariot driver of His Majesty". 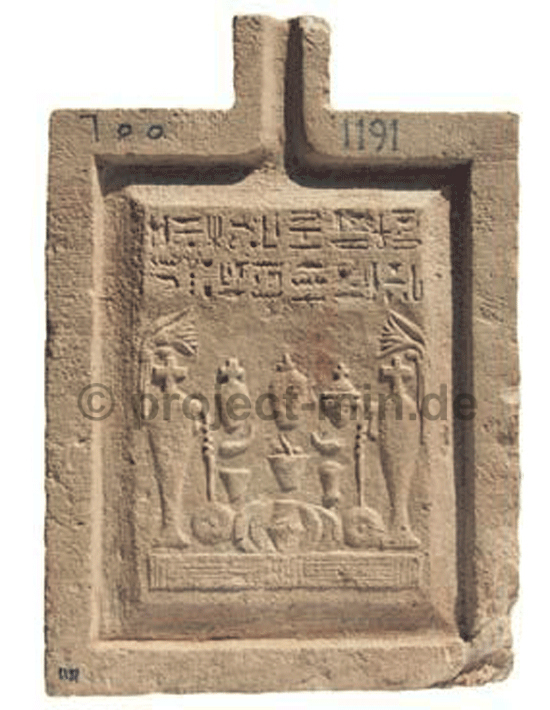 Various funerary goods, including stelae, shabti figures and other objects of burial equipment, are also inscribed. Amongst these were the finds from the tomb of Ay and his father, the vizier Iuty (Dynasty 20) at Bubastis. From the Ptolemaic Period necropolis at El-Sowa (which is as yet unpublished) one perfectly preserved, painted limestone sarcophagus was recovered. Also found were two painted and gilded funerary masks, various shabti figures, and a number of inscribed, relief-decorated offering tables providing valuable genealogical information. 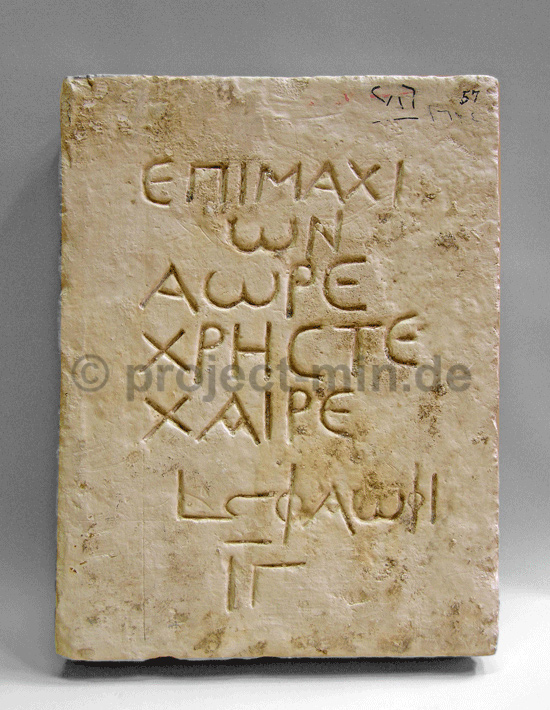 Two marble tomb stelae with ancient Greek inscriptions rank among the more recent monuments of the works formerly exhibited.